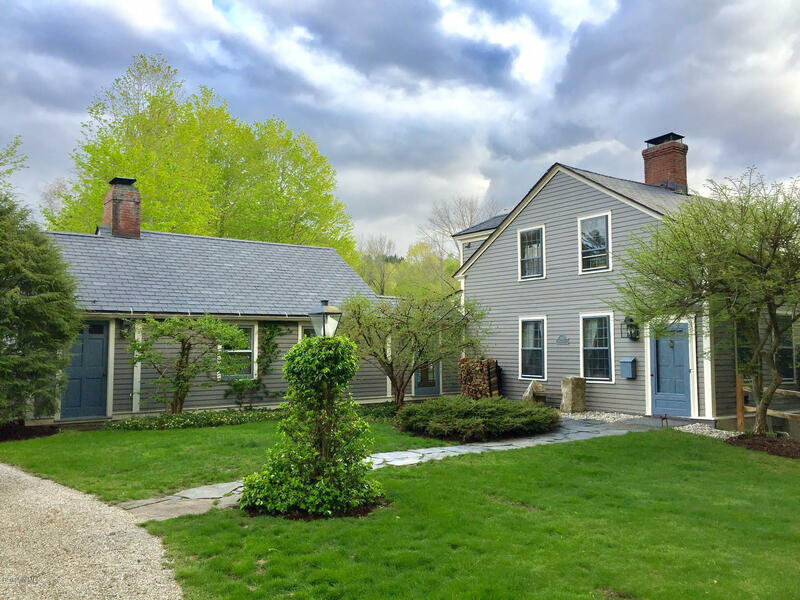 Homes For Sale In Williamstown: Williamstown Massachusetts is home to Williams College, The Clark Art, and the Williamstown Theater Festival. Residential homes and condos in Williamstown range in price from luxury to affordable. Although we have sold well over 3000 homes YOUR purchase is our focus. 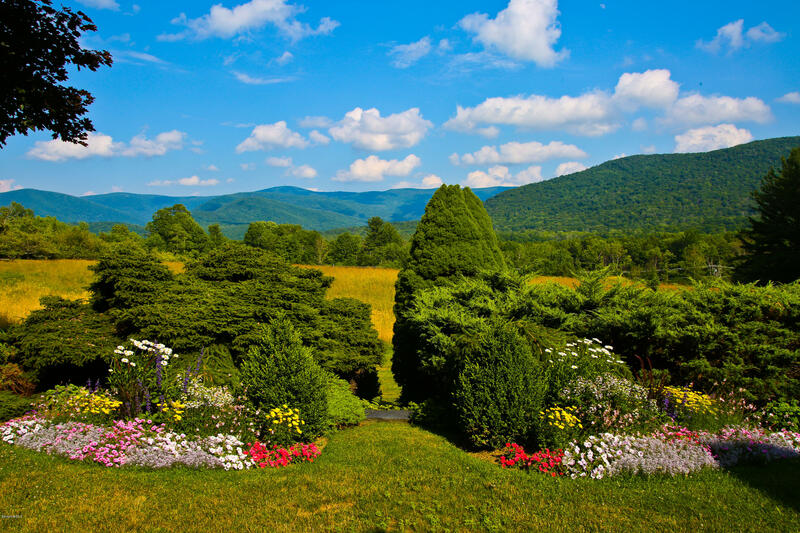 Thousands of visitors to the Berkshires agree the beauty is unsurpassed with hiking trails, ski slopes, farmer's markets, cultural events and education. Call today to learn more about buying a home in the Berkshires. 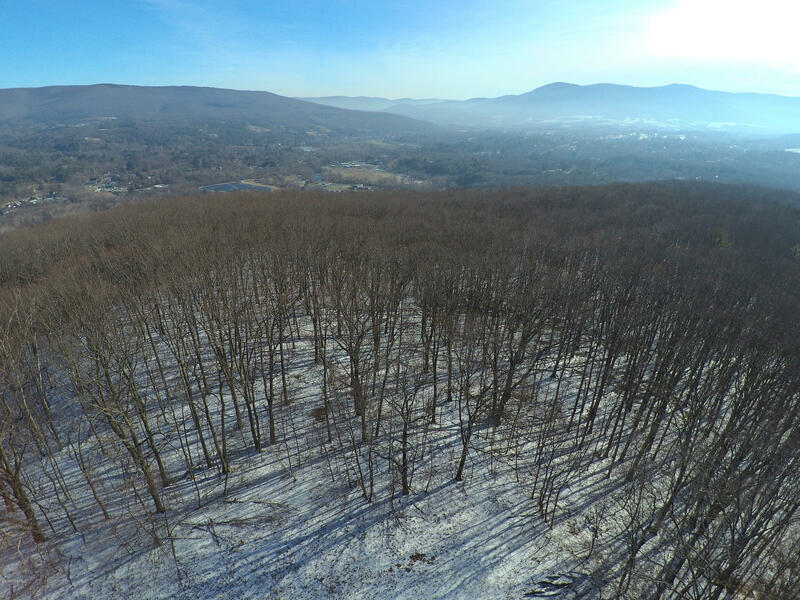 Originally part of Hopkins Memorial Forest this property is rich in Williamstown history. 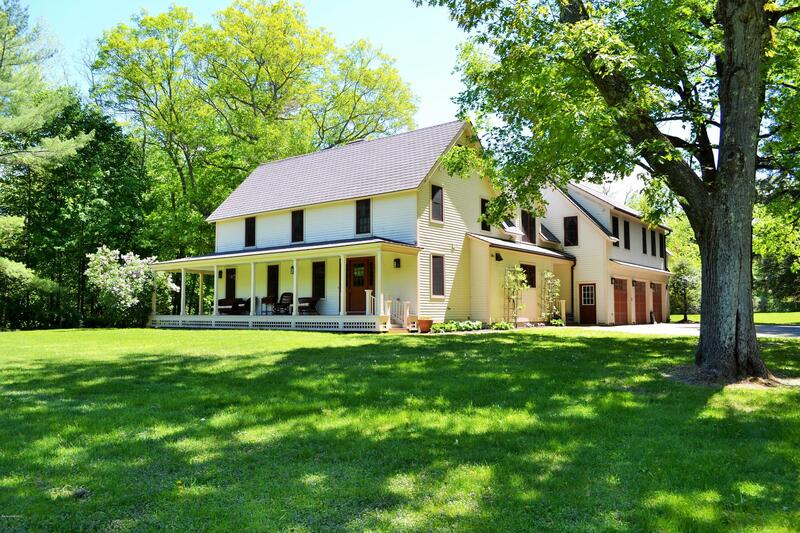 Once home to the Memorial Forest's farm manager, this house has gone through extensive renovations over time and is now the perfect combination of original history with modern flair and top of the line amenities. 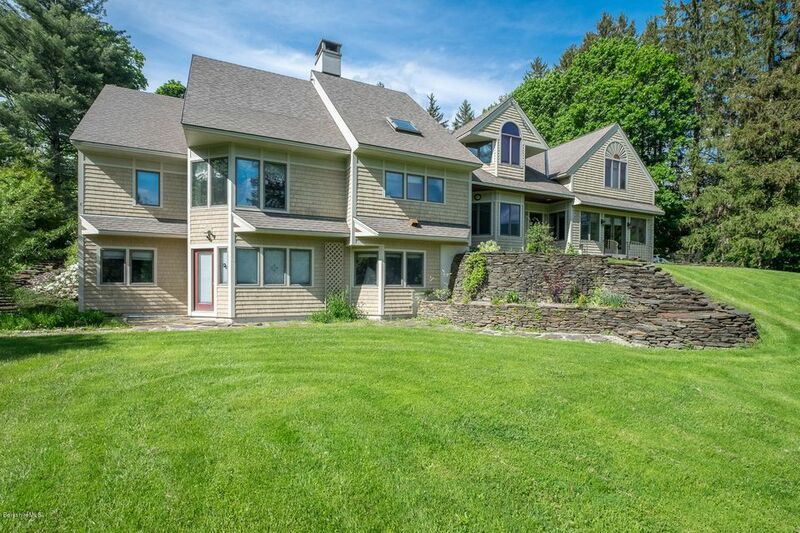 This property offers the perfect opportunity to live on Bulkley Street, one of Williamstown's most sought after neighborhoods offering complete privacy while being just around the corner from Williams College and the Williamstown Theater Festival yet so close to Hopkins Memorial Forest and great hiking trails. 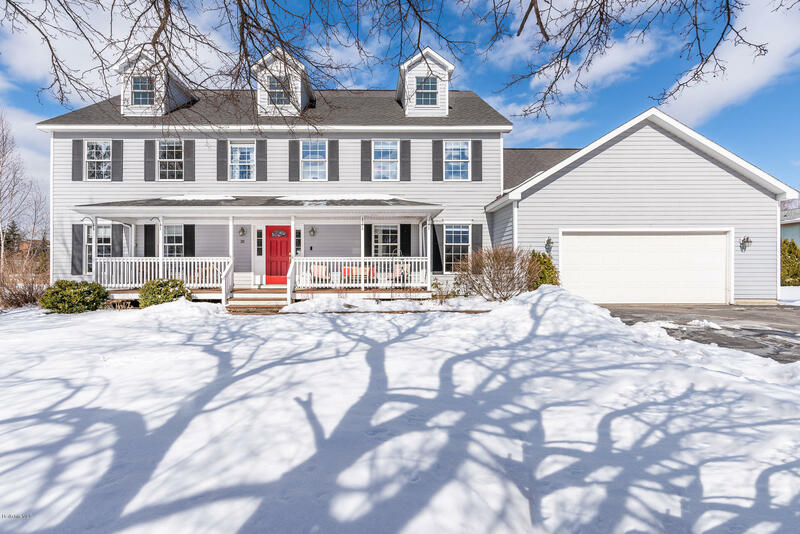 The home is complete with a beautiful kitchen with a Viking stove, double ovens, a wet bar and cathedral ceilings opens to a family room and can be over looked by an above loft. Bathed in natural light with breathtaking views of Mt. 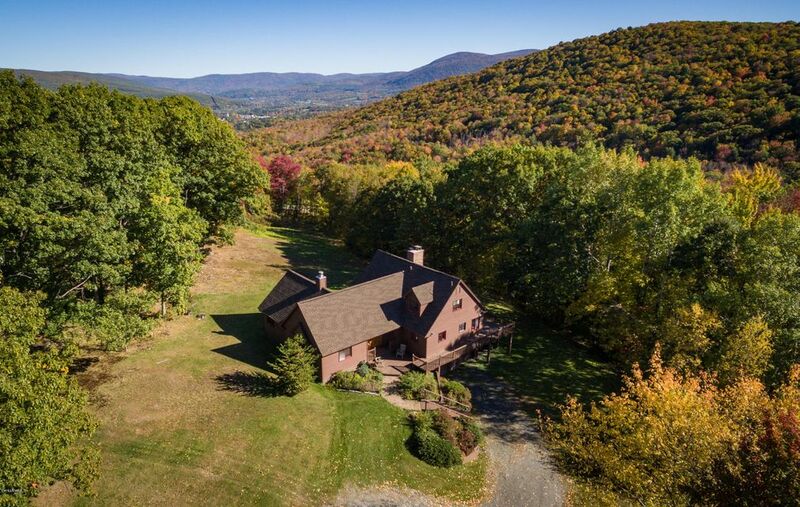 Greylock, this recently renovated property offers the best of the Berkshires.Recent improvements include new kitchen appliances and granite countertops, renovated bathrooms, cellular window blinds, new exterior lighting and fixtures. 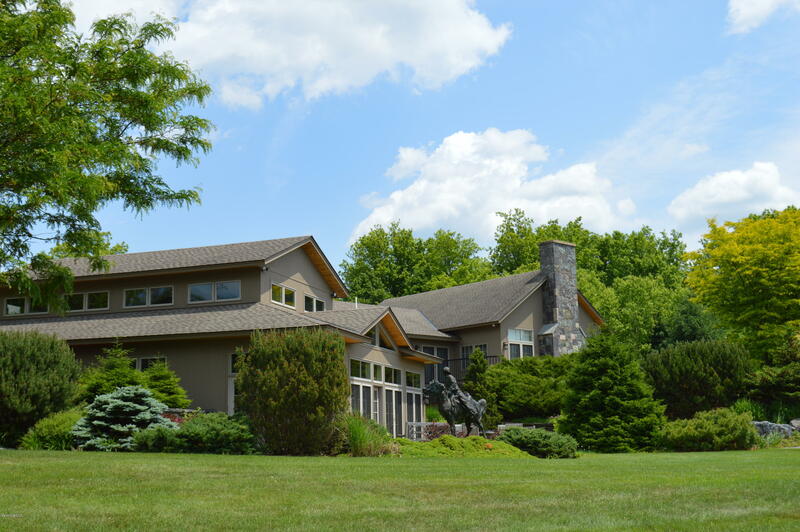 With a combination of forestland and lush pastures complementing the views, the beautifully landscaped property includes a two story barn, abundant stone walls and gardens, mature specimen trees and a pond.Taking full advantage of the southerly vistas, an expansive deck can be accessed from every adjacent room.A dramatic great room, a spacious open living/dining room/kitchen, an entertainment suite and 5-6 bedrooms(4 ensuite)provide this property with wonderful flexibility for your ultimate Berkshire retreat. The River Houses at Cable Mills are 14 stunning new homes, situated along the Green River, steps to downtown restaurants, cafes, theaters, and Williams College. 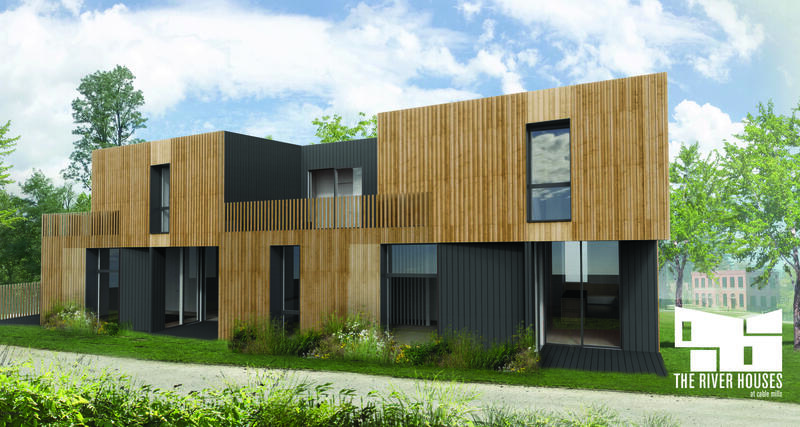 Each house offers spacious, modern interiors that erode the boundary between interior and exterior. The houses respond to their natural surroundings - river, meadow, and woods. They are clad in western red cedar, a durable, renewable material that is well-suited to the Berkshires climate. 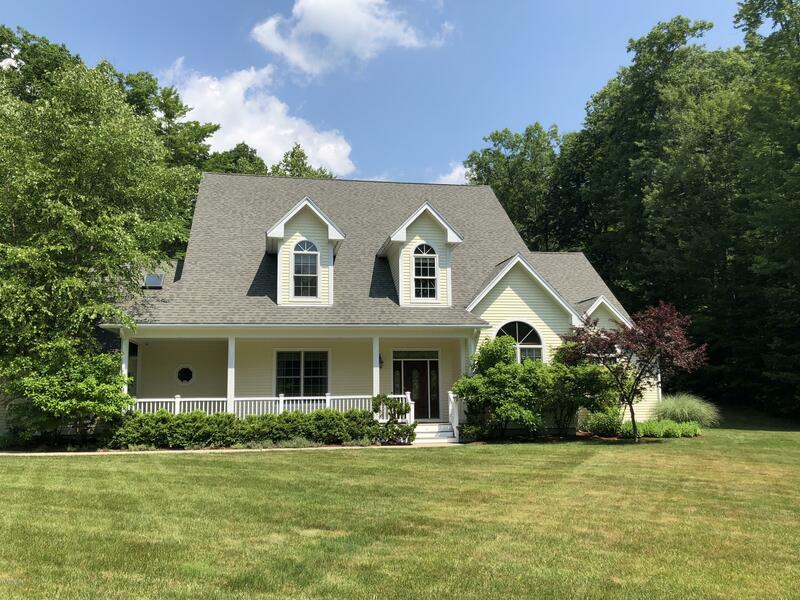 Floor-to-ceiling windows bring the Green Riverfront into first floor living spaces, and second story oversized windows provide stunning views of the Berkshire Hills. Outdoor patios on both floors are recessed into the traditional footprint, allowing you to enjoy the outdoors from the privacy of your own home. Nestled on the Cable Mills site, between historic mill buildings that once dominated the riverfront, The River Houses reclaim the river as part of the natural landscape to be preserved and enjoyed. A River Walk along the newly restored riverfront provides access to the Green River in a way that has never before been possible in Williamstown. The River Houses at Cable Mills are 14 stunning new homes, situated along the Green River, steps to downtown restaurants, cafes, theaters, and Williams College. Each house offers spacious, modern interiors that erode the boundary between interior and exterior. The houses respond to their natural surroundings - river, meadow, and woods. 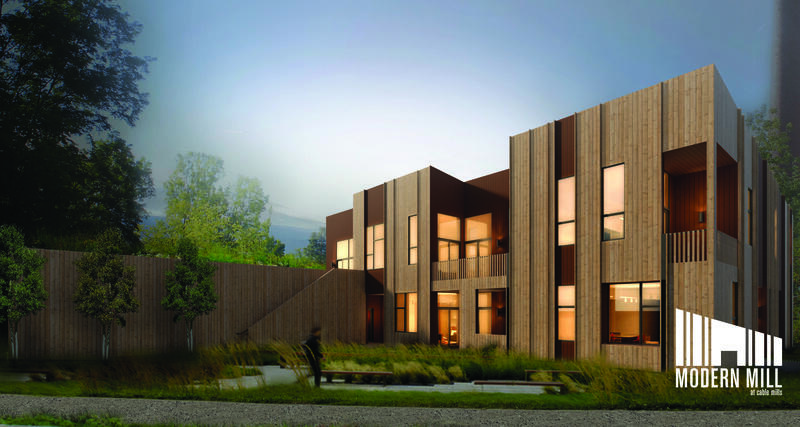 They are clad in western red cedar, a durable, renewable material that is well-suited to the Berkshires climate. 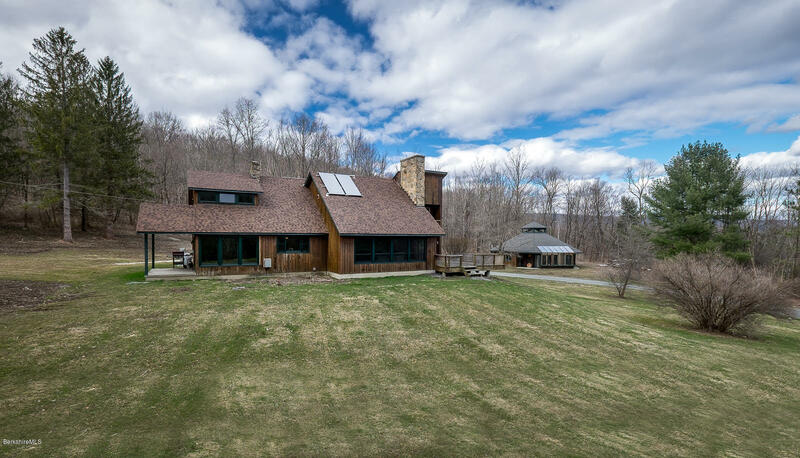 Floor-to-ceiling windows bring the Green Riverfront into first floor living spaces, and second story oversized windows provide stunning views of the Berkshire Hills. Outdoor patios on both floors are recessed into the traditional footprint, allowing you to enjoy the outdoors from the privacy of your own home. Nestled on the Cable Mills site, between historic mill buildings that once dominated the riverfront, The River Houses reclaim the river as part of the natural landscape to be preserved and enjoyed. A River Walk along the newly restored riverfront provides access to the Green River in a way that has never before been possible in Williamstown. Local Attractions WILLIAMS COLLEGE Williams is one of the country's finest colleges, consistently ranked among the nation's best. The school sponsors a variety of academic and cultural lectures, concerts, and theatrical performances, most of which actively welcome residents. THE CLARK ART MUSEUM The newly-expanded Sterling and Francine Clark Art Institute is a world-renowned art museum and a center for research and higher education. The Clarks were private art collectors who developed a remarkable collection of paintings, sculpture and other works including pieces by Degas, Renoir, Monet, Sargent and others over the first decades of the 20th century. 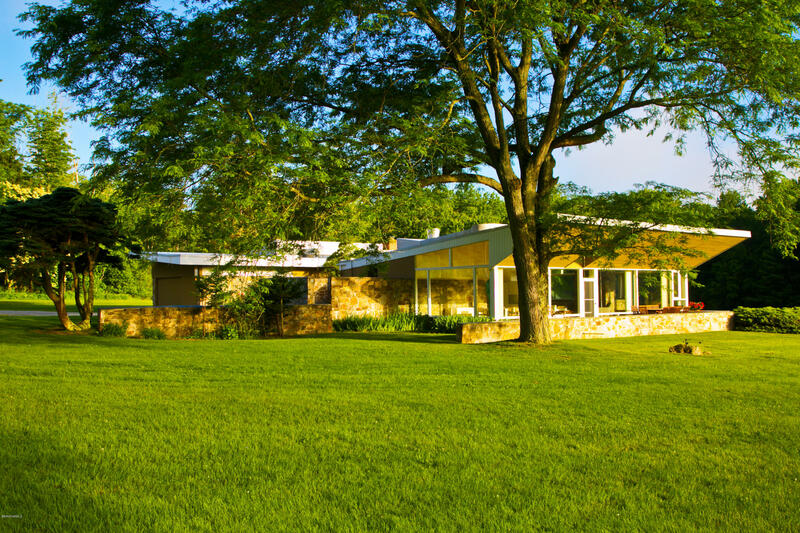 The museum houses not only their original collection, but expanded bodies of work, an art conservation center, training program, and much more. MASS MOCA Located in nearby North Adams, the Massachusetts Museum of Contemporary Art is perhaps the most large and unusual museums in the country. It occupies a sprawling 26-building, 13-acre campus that was formerly the manufacturing plant of the Sprague Electric Company. Making use of the unparalleled scale and versatility of the complex's industrial spaces, MASS MoCA strives to create a dialogue between the facility's past and the new life it has as the country's largest center for contemporary visual and performing arts. TACONIC GOLF CLUB A joy to play, the Taconic is consistently rated among the best college golf courses in the nation. Owned by the College, this semi-private course was designed by Wayne Stiles and John van Kleek in 1895. The Taconic is located just steps from Cable Mills. WILLIAMSTOWN THEATRE FESTIVAL The famed Williamstown Theatre Festival presents hundreds of performances each summer. Many productions have gone on to run on Broadway, off-Broadway and in the country's best regional theaters. The festival makes its home in the College's stunning '62 Center for the Performing arts, which opened in 2005. WILLIAMSTOWN FARMERS MARKET The Williamstown Farmers Market - located in the heart of the newly designated Williamstown Cultural District - provides a lovely setting for community gathering and interaction with local growers, artisans, bakers, and chefs. They welcome everyone to share in their vendors' wealth of knowledge and skills, to support local agriculture and production, and to partake of their vibrant and friendly atmosphere. Courtesy of G. FULS JR. REAL ESTATE CO. If you want the best views in Williamstown look no further! 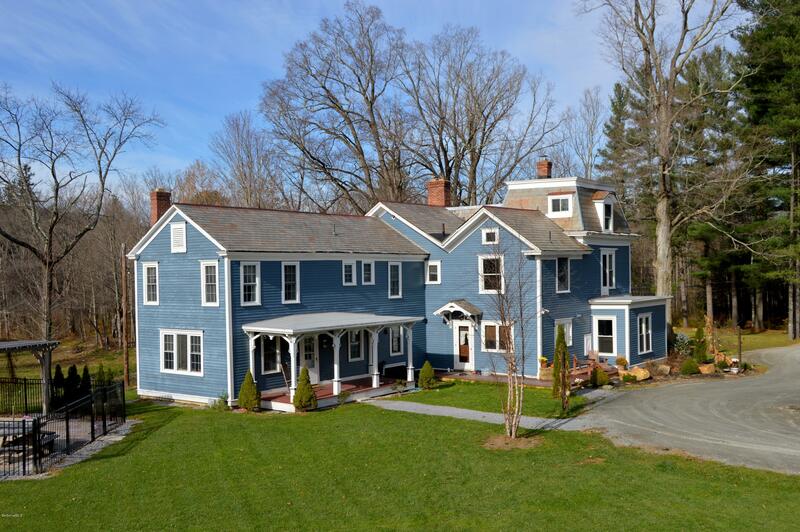 This 18.5 acre property sits on one of the most beautiful roads in all of the Berkshires. Lined with sugar maples, the views are awe-inspiring. Opportunities to build are endless. This gem is a must see. 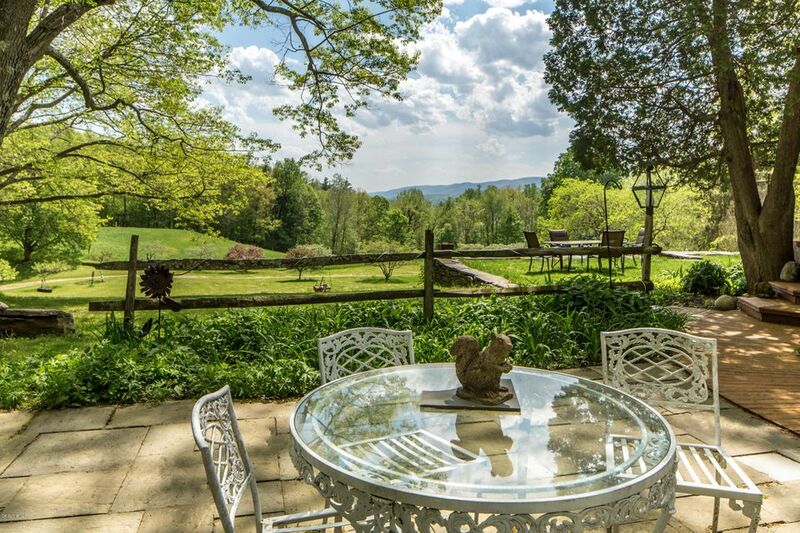 Envision your dream home in the Berkshires! Introducing the River Houses at Cable Mills. The River Houses at Cable Mills are 14 stunning new homes, situated along the Green River, steps to downtown restaurants, cafes, theaters, and Williams College. Each house offers spacious, modern interiors that erode the boundary between interior and exterior. The houses respond to their natural surroundings - river, meadow, and woods. 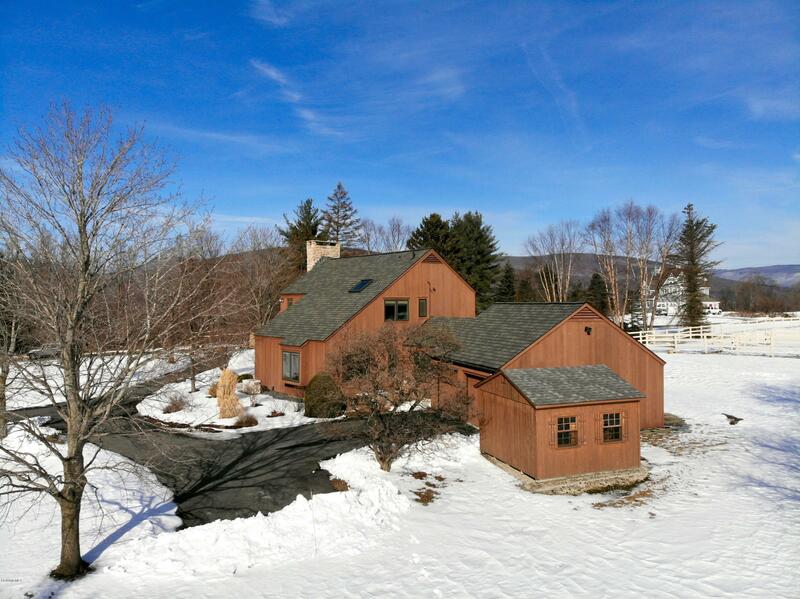 They are clad in western red cedar, a durable, renewable material that is well-suited to the Berkshires climate. 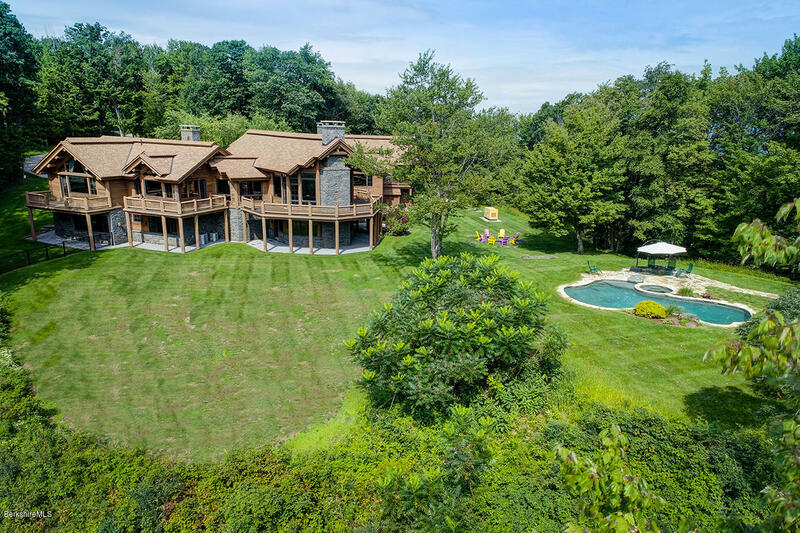 Floor-to-ceiling windows bring the Green Riverfront into first floor living spaces, and second story oversized windows provide stunning views of the Berkshire Hills. Outdoor patios on both floors are recessed into the traditional footprint, allowing you to enjoy the outdoors from the privacy of your own home. Nestled on the Cable Mills site, between historic mill buildings that once dominated the riverfront, The River Houses reclaim the river as part of the natural landscape to be preserved and enjoyed. A River Walk along the newly restored riverfront provides access to the Green River in a way that has never before been possible in Williamstown. The River Houses just became available for pre-sale. To learn more, contact us. Berkshire Living, Urban Convenience If you've ever spent time in Williamstown, you won't need to be convinced it's a beautiful place to enjoy life. Williamstown has also earned a reputation for its arts and entertainment, vibrant community, foodie culture, and convenient living. Modern Mill at Cable Mills is a new, contemporary condominium complex built along the Green River, within walking distance of Williamstown's vibrant restaurants, cafes, theatres, and cultural attractions. The design of each home erodes the boundary between interior living spaces and exterior scenery. Modern Mill living practices green living at its best. Open floor plans, generous amounts of cabinetry and shelving for storage make cooking and entertaining that much easier. Two- and three-bedroom units available. The Modern Mill at Cable Mills is located on a 9-acre site that is professionally managed and maintained by a team that is on call 24/7. Williamstown, Massachusetts www.riverhousesatcm.com 14 Two and Three Bedroom Condominiums Under Construction, Fall 2019 Completion The River Houses at Cable Mills are 14 stunning new homes, situated along the Green River, steps to downtown restaurants, cafes, theaters, and Williams College. Each house offers spacious, modern interiors that erode the boundary between interior and exterior. The houses respond to their natural surroundings - river, meadow, and woods. They are clad in western red cedar, a durable, renewable material that is well-suited to the Berkshires climate. 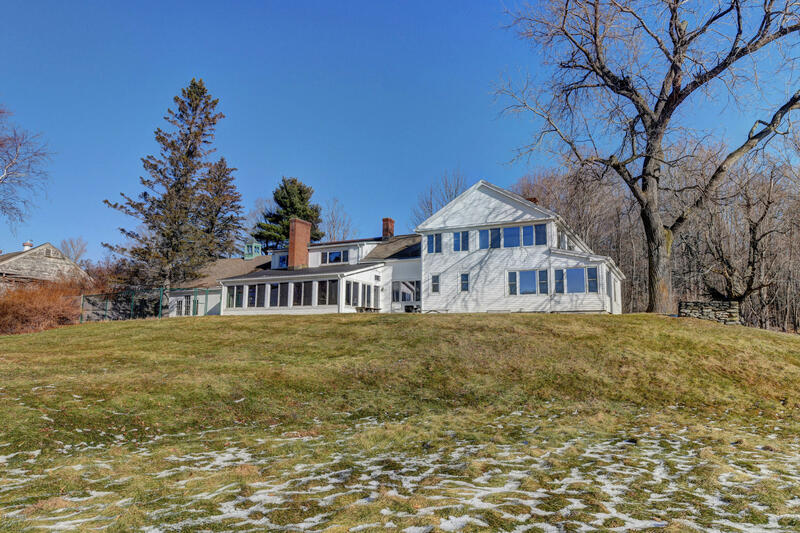 Floor-to-ceiling windows bring the Green Riverfront into first floor living spaces, and second story oversized windows provide stunning views of the Berkshire Hills. Outdoor patios on both floors are recessed into the traditional footprint, allowing you to enjoy the outdoors from the privacy of your own home. Nestled on the Cable Mills site, between historic mill buildings that once dominated the riverfront, The River Houses reclaim the river as part of the natural landscape to be preserved and enjoyed. A River Walk along the newly restored riverfront provides access to the Green River in a way that has never before been possible in Williamstown. Modern Mill at Cable Mills is a new, contemporary condominium complex built along the Green River, within walking distance of Williamstown's vibrant restaurants, cafes, theatres, and cultural attractions. The design of each home erodes the boundary between interior living spaces and exterior scenery. Modern Mill living practices green living at its best. Open floor plans, generous amounts of cabinetry and shelving for storage make cooking and entertaining that much easier. Two- and three-bedroom units available. The Modern Mill at Cable Mills is located on a 9-acre site that is professionally managed and maintained by a team that is on call 24/7. 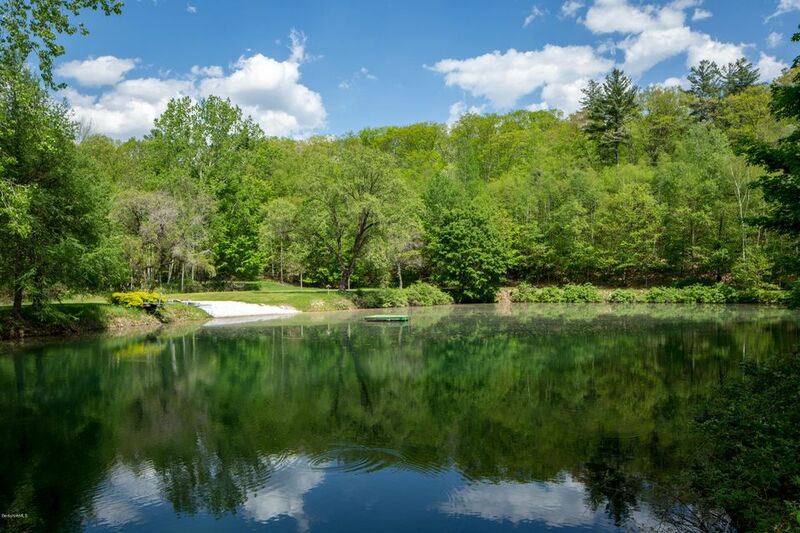 45+ Acres, Meadow, timber lands and a Spring fed massive swimming/fishing lake. 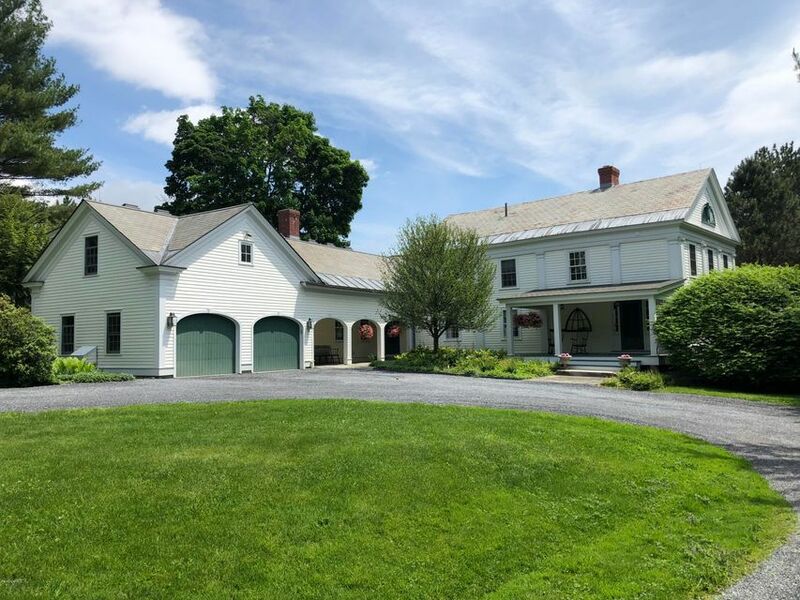 Located minutes from Williams College and the center of of town, Steep Acres Farm has been owned by the same family for more than 36 years. Taking in the long range views or swimming in the pristine, spring fed lake with private white sand beach its your turn to create cherished memories for generations to come. 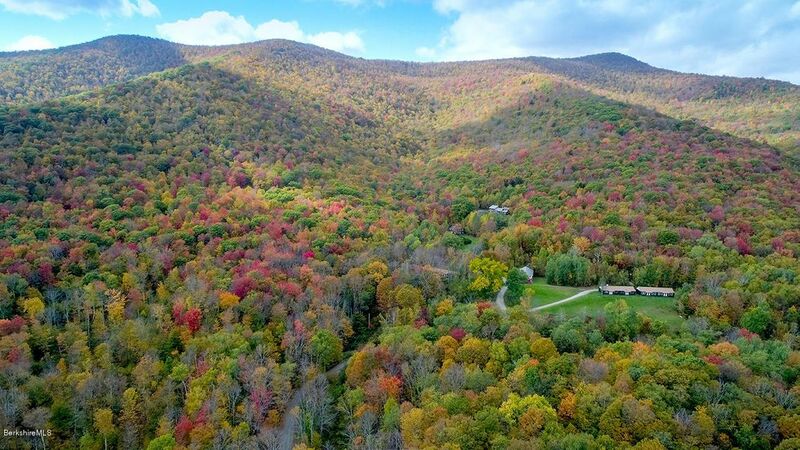 Enjoy catching trout during the early morning sunrise or hiking on the magical forest trails that lead you to an additional two hidden natural forest ponds few have ever seen! This is truly a rare opportunity to own this renowned Williamstown gem and take it to its next level to fit your family's desires and needs.